Importance of Internet and Social Media has increased dramatically in last few years in world including Pakistan. Watching this Situation different political parties also brought their campaign to the world of social media. the most popular Pakistani political party on Social media is Tehreek Insaf which has several pages on Facebook having millions of fans. 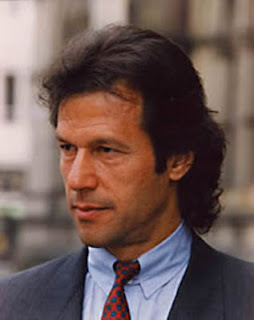 Imran Khan also has a official page on Facebook with massive number of fans. But last Friday we came to know a shocking news that almost 30 Facebook pages of PTI are hacked and removed. For first few days it was not clear that who has hacked and removed those pages but on Sunday a 21 years old boy from Karachi who not shown his identity claimed that he has hacked the pages of PTI and then deleted them. Hacker also said that i don't belong to any political party and i hate all the politicians of Pakistan. During this time Cyber team of PTI continued the tries to get back all the hacked Pages. Finally on Monday they where able to get back all the hacked pages after contacting the Facebook officials.